Hi! I'm David, I love to teach skiing. My mother is English and my father is Italian, I've been skiing since I was 3 and spent 14 years racing, I teach in Italy and in France depending on the requests, I have a three years degree in Physics and now I’m studying engineering at Turin’s Politecnico, but teaching is my passion, I love to make this beautiful sport more enjoyable to you. Come to improve your skiing, enjoy your holidays and stay safe. Learn with me how to enjoy this fantastic sport. Send me a message and we can hit the slopes!! David looked after four boys aged 12 to 15 from our group. The boys are all ambitious, capable skiers and they absolutely loved the week with David who combined technical improvement with lots of adventure...the most notable feedback from the boys though was just how nice and friendly David is... he made their week! David was a great instructor. He was very friendly and patient and worked with 4 of us who were all of mixed abilities and at different levels. He provided great advice and guidance on our technique and this really helped build our confidence and skills. Would definitely recommend David and we would not hesitate to contact him again for further instructions in the future. David provided great advice and guidance to us during our lessons with him. He was not daunted by the fact that we were a group of 4 skiers at different levels and abilities. He was able to provide specific techical advice tailored to each of us, which helped us for the rest of the week and we all really felt our skiing and confidence improved as a result of this. He was very friendly and flexible - responding well as to how we wanted to stucture our time with him. Would highly recommend David to others and we would definitely book lessons with him again if back in Courchevel. David was a patient and flexible instructor who massively helped me increase my confidence on the slope. He very quickly spotted the flaws in my technique and gradually ironed them out over the course of a 4 hour lesson so that by the end I felt that my level had improved significantly. I would definitely recommend him to any beginners who are trying to ski more confidently and challenge themselves. My friend and I did four days of lessons with Dave and we had a great time. We had different technical issues and Dave had no problems instructing us individually and we both improved. He understood that I was nervous and knew how to push me without tipping me over the edge! The snow conditions weren’t great but Dave knew the best places to ski on the mountain. 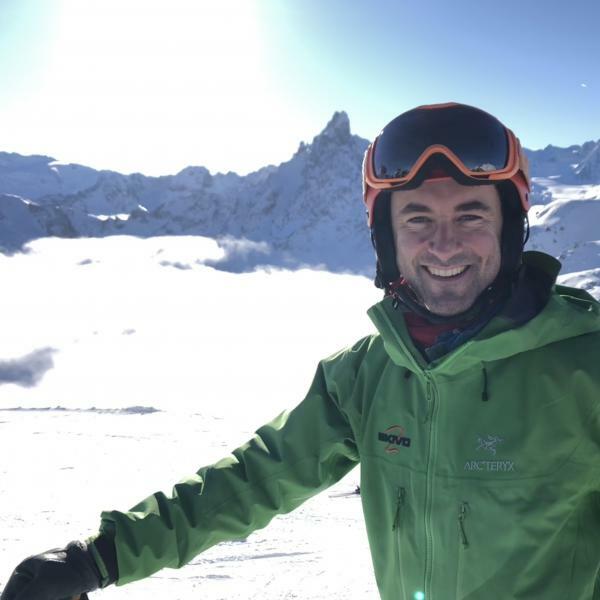 If you are skiing in the Les Trois Vallèe and are looking for an instructor then I highly recommend Dave. Dave also took our three kids for a half day and they loved him too. Thanks Dave! 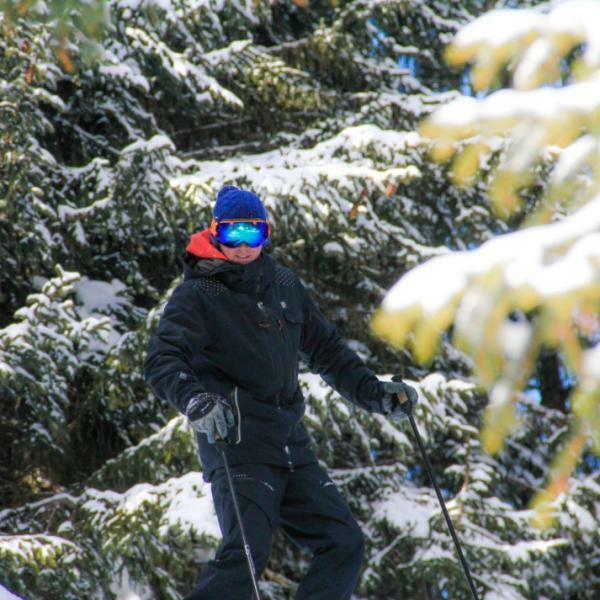 David is a fantastic ski instructor capable of teaching from beginners to advanced skiers. Highly recommended. My 7 year old daughter had an amazing week skiing with David in the mornings and made fantastic progress. He was great fun and she was very happy to go off on her own with him. His English is obviously fantastic as he is half English which made it incredibly easy. She loved seeing all the tricks he could do on skis and came back to me happily telling me about her mornings and about the fun she was having. I hope that we get to ski with David again in the future and I would definitely recommend him. Thank you David! Sarah and Lettie. Deva is very calm and patient. He had a group of adults and children with a range of different abilities to share with another instructor. Not an easy task for anybody to undertake. He, however, managed very well to give everyone his time and attention. My son Lucas very much enjoyed the last hour of skiing alone with Dave so that he could really push himself. I wouldn't hesitate to use him again. Nice work Dave!! David skied with our 9 year old son last week. They had a great time together. Wherever David went, H followed! Moguls, un-pisted, blacks - the lot. H's technique, confidence and speed all improved greatly over the week. I would highly recommend David, and we will be booking him again next year. Thank you David. David was a fantastic instructor for our 9year old daughter. They had so much fun together and she learned a lot, despite the challenging snow conditions. I would not hesitate to recommend him to anyone and will definitely look to book him next time we come to Courchevel! David has a nice character and looked after our small party throughout the day. Have booked him again. David skied with me for a week . I am a nervous intermediate skier and he was brilliant at ‘looking after me ‘ . Felt completely safe and looked after . Would follow in his tracts and therefore eg avoid the steeper bits of a blue run . Helped me with my technique. Such a cheerful kind person. And needed a lot of patience with me !! He also took my son and daughter who are in their early 20s for a morning to improve their technique. They are very good skiers and they thought he was brilliant and gave them lots of tips . Overall would definitely recommend David and will book him next year . David is an amazing ski instructor for all the ski levels, he took me off-piste and he teached me how to ski in powder snow. A friend of mine "completely beginner" had some lessons with David last year, at the beginning he was a little bit afraid and now he cannot wait for our next ski holiday! Thank you David. strongly recommended.